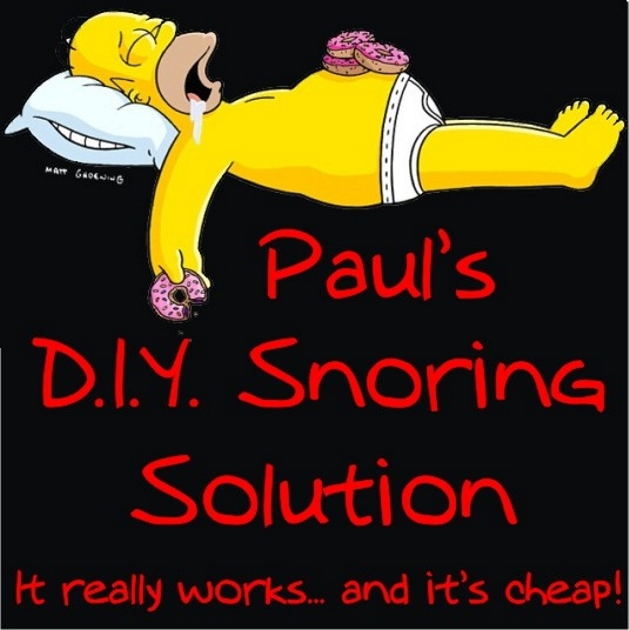 Before I start, I’ll tell you up-front it will cost you $7(NZ) ($5 US, £4 UK) for my secret and no more than $3 in materials, to make my ‘Snoring Solution’ – and you will snore no more! This is not some internet scam, preying on the misfortune of people who snore. We’ve all heard those annoying ads that bleat on and on about how wonderful their product is. But still, after ten minutes or so of hearing some annoying nasal voice, lying to you, you still know nothing about the product. Then the clincher is some outrageously inflated price tag for something that probably won’t work. I don’t represent a company. I’m a simple songwriter and musician but my life was cursed because I snore.. or used to. My wife and I hadn’t slept in the same bed for years. So, recently, I went to my doctor who sent me to a specialist who charged an absolute fortune to see me for twenty minutes. But in that time I learnt something very valuable. He tried to sell me on a product which he swore would cure my snoring problem. It would cost me about two thousand dollars! The alternative was an operation which would cost as much as ten thousand dollars… and might not even work. Also, it might change the sound of my voice! Now, I’m no Elvis Presley but I kinda like my voice the way it is. So, the operation was out. The device used the same principle as other generic versions of the device I’d seen, which were also expensive. So, I started thinking and came up with a way to make my own ‘snore-fix’ for next to nothing. It took a bit of experimenting but bugger me if it didn’t work! My wife said she had to check to see if I was still breathing, I slept so quietly. I make no guarantees because we’re all different but I can swear that this thing worked for me and, if you’re prepared to gamble a measly $10 (or less) for this hard-earned info and materials, it might just change your life. GIFT IDEA: Buy and print these instructions. Buy the product suggested in the PDF. Package them together and give them to someone you know suffers from snoring.